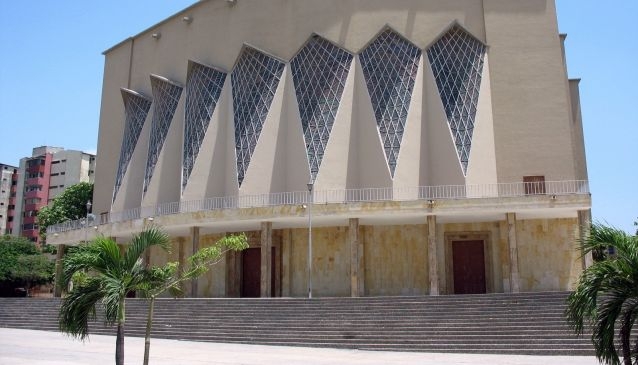 Officially called Metropolitan Cathedral Mary Queen of Barranquilla. Its construction took 27 years and it was designed by the Italian architect Angelo Mazzoni de Grande. It can accommodate more than 4,000 people and it is notable for its imposing modernist architecture. It was built in honor of the Virgin Maria Reina. You can find inside beautiful art works such as the Latin American Liberator Christ sculpture, created by Master Colombian Rodrigo Arenas Betancourt, which was cast by the so Colombian Master Dario Montoya.